Carrying on with my love for the Japanese Taupes, here is my latest design, that I just got back from the quilter. I called this one "Nireko's Roses", as it was Nireko, who used to be the "go-to" lady at Lecien when they were in the US, who got me started using their taupes, and who so generously sent me a bunch of samples of their discontinued yarn dyed fabrics. I love using the yarn-dyes in my quilts, as they add another interest to the quilt. I made this one using up a lot of the left-over fabrics from "Vintage Tiles Revisited" and the yarn-dyes. 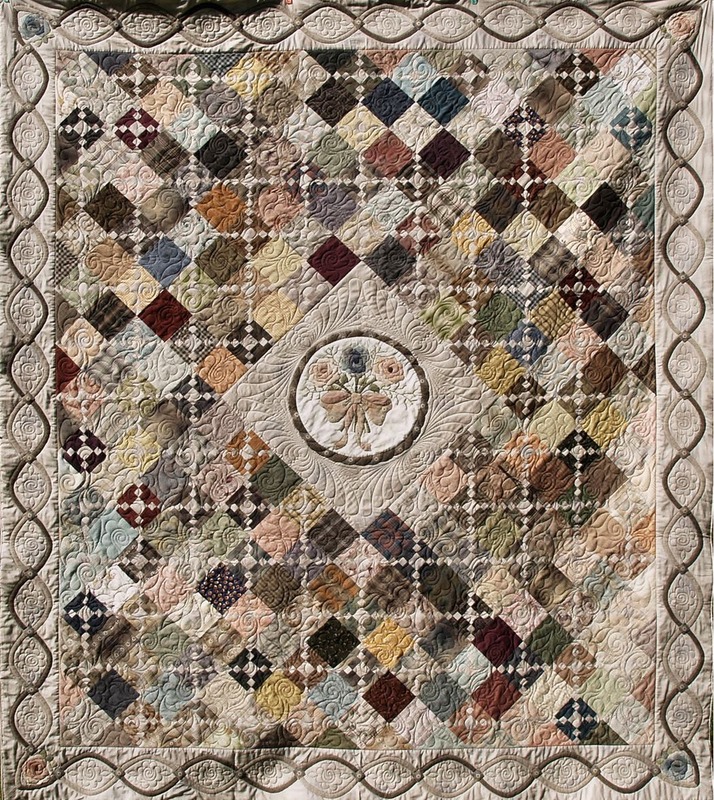 It was quilted by Irene of Brayne Waves Quilting. I hope everyone has enjoyed their long weekend, Thanksgiving for us Canadians and Columbus Day for my American friends. Another stunner, Dorothy - this is too beautiful! !